Hotel La Gastrocasa is a Gastronomy hotel. Small and personal, once the family home, this residential villa is just ten minutes walk from long sandy beaches, or borrow the bikes and its less than a 5 minute cycle. It only opened in 2015 and has already built up an excellent reputation for its service, food and adult-only escapes. With only 5 bedrooms this is a home-from-home experience. Everything is very well done, well-planned and with those special little touches that make you feel welcome, comfortable and cared for. Even though the beach is so near you may find yourself not leaving the hotel. With a swimming pool and outdoor jacuzzi, sun beds, poolside bar and no children, relaxing is not a choice it will just happen. If you feel the need for activity you can choose yoga, a nutritional or traditional cookery class on the premises of La Gastrocasa or take one of the bikes for a spin along the promenade. Having had one meal here I’m sure you’ll want to stay for the next and the next. And breakfast, well this was our feast, a breakfast for four guests. Did I mention that I felt instantly welcome and at home. Family-owned and family-run means you feel part of the family. If you want sunshine and beaches yet the feel of being tucked far away from the hustle and bustle Hotel La Gastrocasa is just the place. It’s like visiting old friends or being massaged, settling in is immediate. The cool, calming decor is lovely and the open-plan reception, lounge and dining area have views of the garden and swimming pool with grass and palm trees. The rooms have TVs and excellent wifi so it’s an escape without being disconnected or cut off from civilisation, Hotel La Gastrocasa a great gastronomic getaway and it’s small & personal. 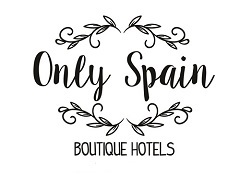 See Hotel La Gastrocasa on Only Spain ~ Boutique Hotels.